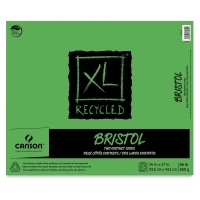 The only recycled bristol on the market, these pads are designed to appeal to students, with superior contruction and heavier weight covers. This dual sided bristol (Vellum on front, Smooth on back) was developed in conjuction with Art professors. 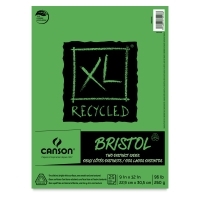 This paper features a brighter white paper for better contrast with pencils pens and markers. Recycled using 30% post-consumer materials.